You already know that pineapples are delicious and super rich in Vitamin C, but did you know that they could be transformed into a fabulous purse or great pair of running shoes? It’s hardly a secret that eating a vegan diet is kinder to animals, and many experts believe that a plant-based diet can have life-changing effects on the health of an individual and even the world at large. With the number of vegans around the world on the rise, it’s not just the food industry that needs to adapt. 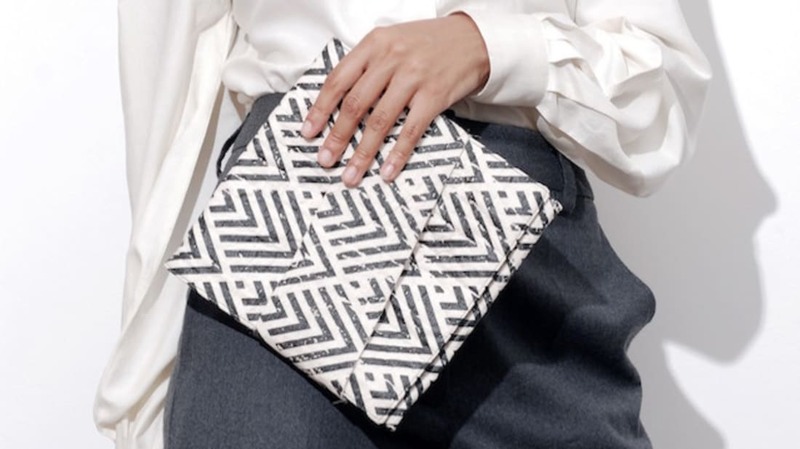 The growing public demand for alternatives to leather and other animal products when it comes to clothing and textiles means that companies are coming up with all sorts of creative options. One London-based company, Ananas Anam, has devised a delicious solution to creating vegan materials: Pineapples. Called Piñatex, the environmentally-friendly textile is created from the fibers of leftover pineapple leaves, which are extracted through a process known as "decortication." Since the leaves are a byproduct of the pineapple harvest, there is no need for extra water, land, fertilizers, or even pesticides to produce the material. It has a low environmental impact, can be easily mass produced and, perhaps most importantly, is affordable for consumers looking to give their wardrobes a socially-conscious makeover. As the pineapple leaves are harvested in the Philippines by local farmers, Ananas Anam’s products are also helping to create more jobs. Spanish designer, researcher, and entrepreneur Dr. Carmen Hijosa is the founder and chief executive officer of Ananas Anam. Hijosa’s first company was based in Ireland, where she designed and manufactured leather products for such companies as Harrods. Her work eventually brought her to the Philippines, where she saw a traditional Filipino shirt made out of pineapple leaves. In an interview with Crane.tv, Hijosa explained that to create the final Piñatex material, the pineapple leaf fibers are made into a mesh, which then goes through both "mechanical and chemical processes to make it into a very strong product" that can be used to create a variety of products, including clothing, shoes, purses, accessories, and even upholstery. You are probably wondering where to get some cool pineapple shoes of your own. Well, the wait is over—at least in certain parts of the world. A selection of the company’s products are available for purchase in the UK, as well as online. And well-known brands including Puma and Camper have already made prototypes using Piñatex. Perhaps the even bigger question everyone is wondering is: do Piñatex products actually smell like pineapples? “No, there is no smell,” Rideau says. Now you know.